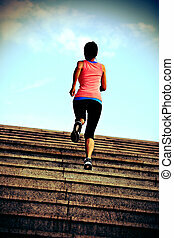 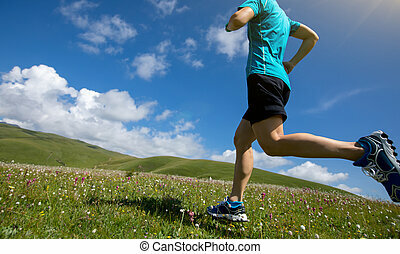 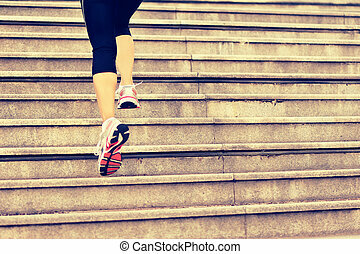 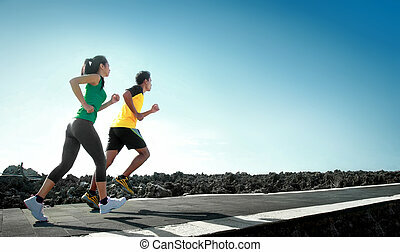 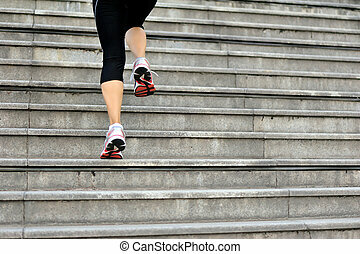 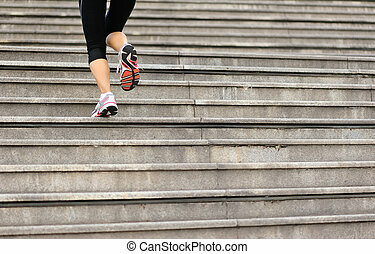 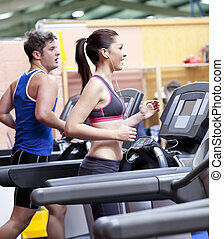 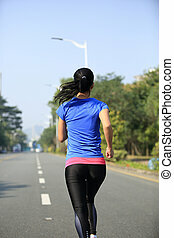 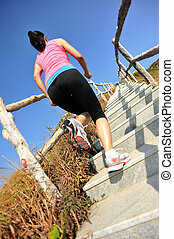 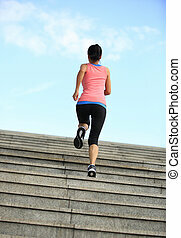 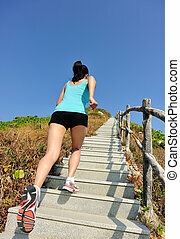 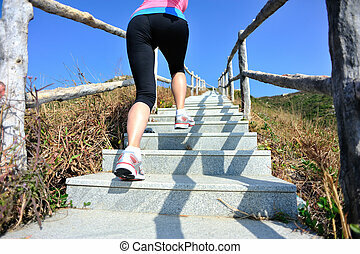 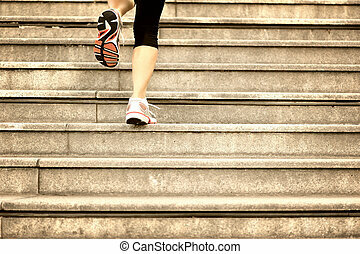 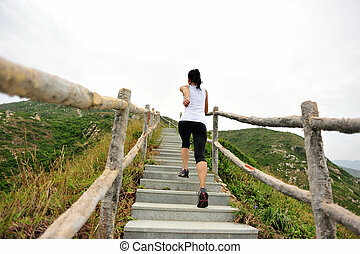 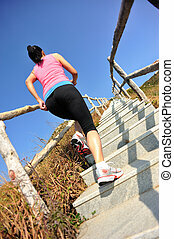 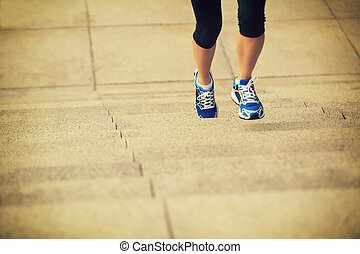 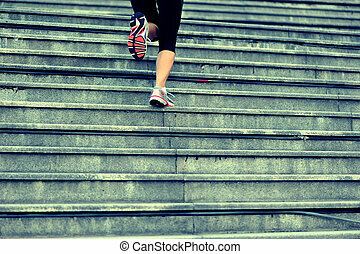 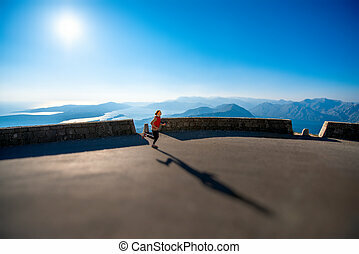 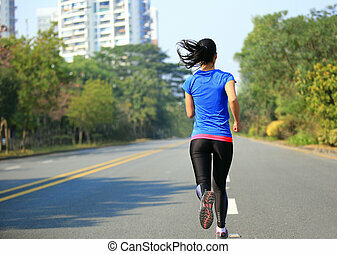 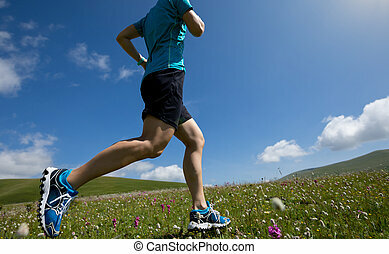 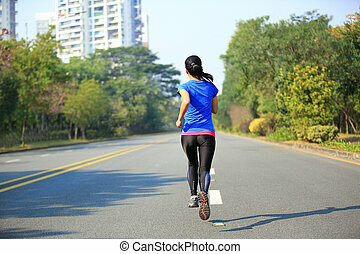 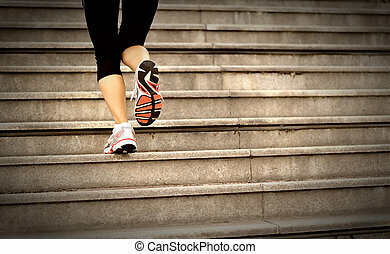 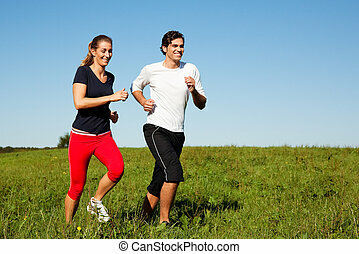 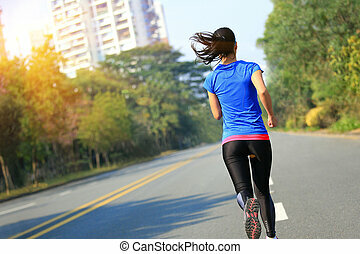 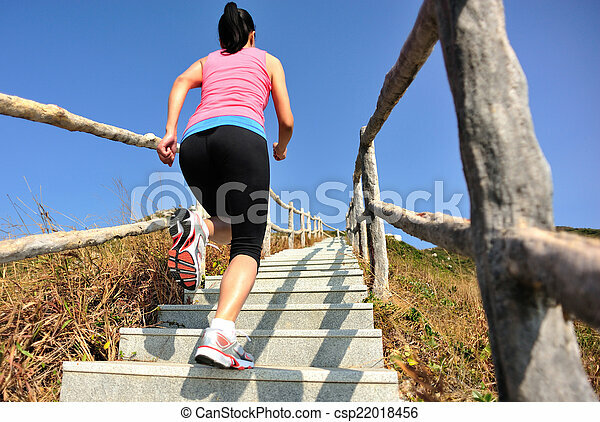 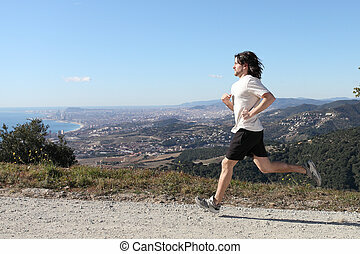 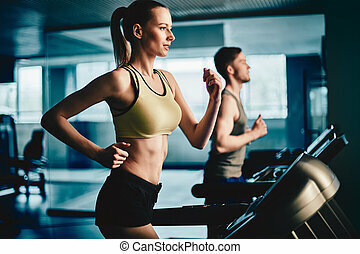 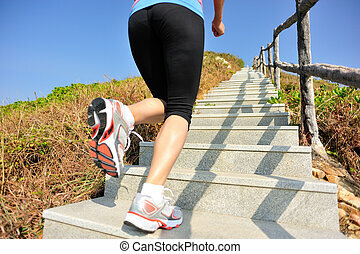 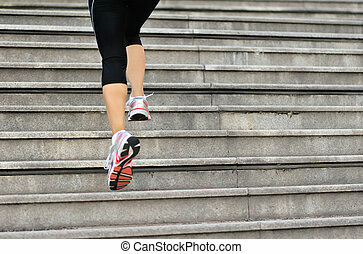 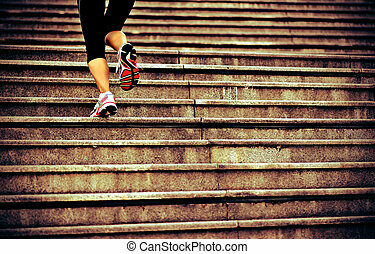 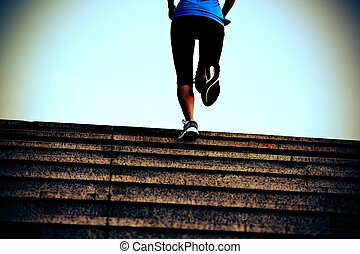 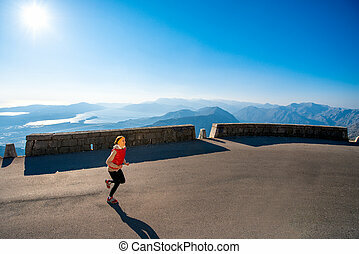 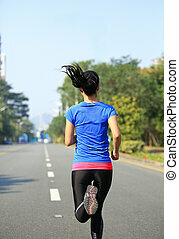 Sports woman running on mountain stairs. 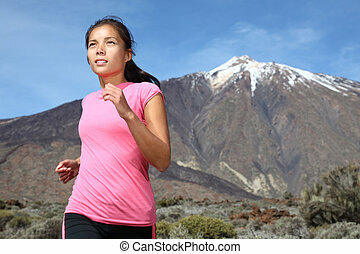 Running in spectacular volcano landscape on Teide, Tenerife. 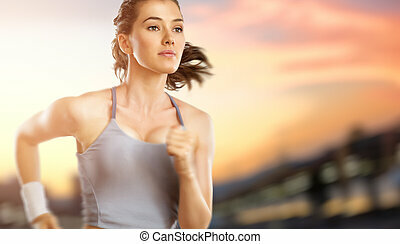 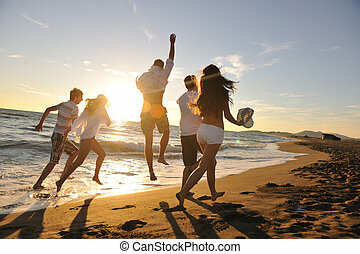 Woman in pink top. 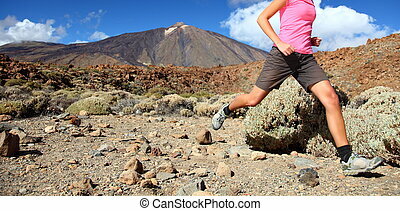 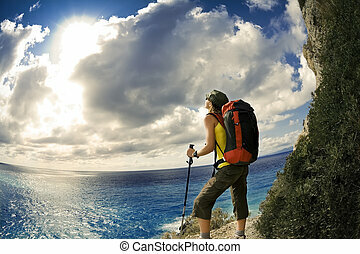 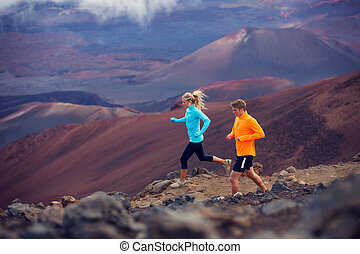 Sporty woman running on trail on mountain / volcano Teide on Tenerife. 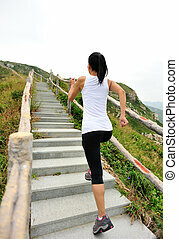 Beautiful mixed chinese asian / caucasian female model.